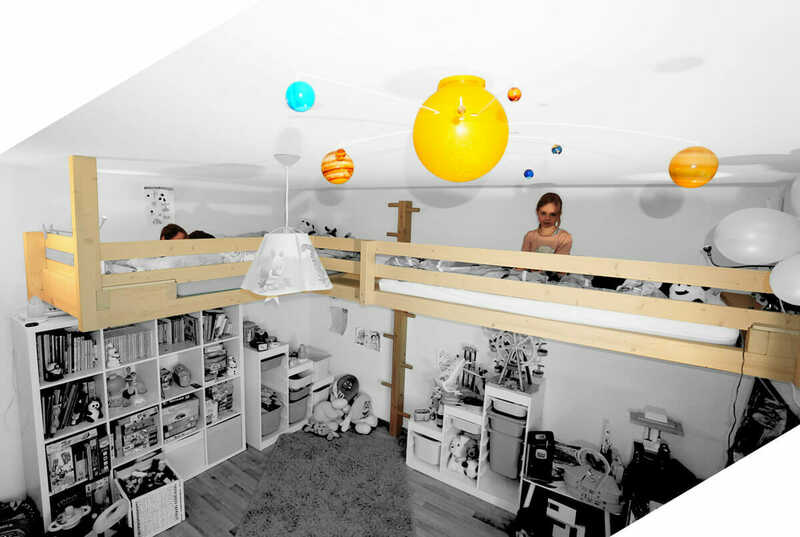 Double Bed - mezzanines.ch - UNE MEZZANINE SUSPENDUE ADAPTÉE À VOTRE ESPACE. The double-length mezzanine can be hung or with a foot in a sufficiently long room ( 4.5m). 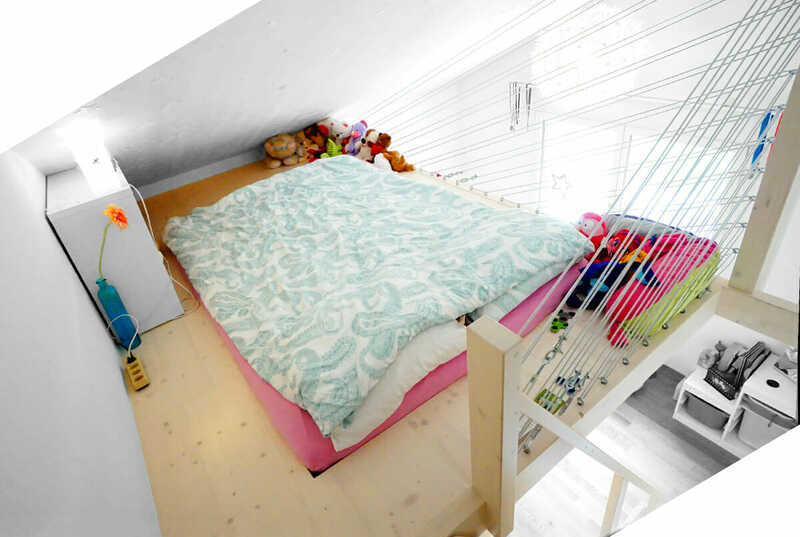 The double corner mezzanine with only one ladder and two headboards is also suspended and requires a smaller room than the mezzanine in length. For adults our structures are more imposing, but can also be suspended under a plaster ceiling. Not included: box springs, mattresses, options, adaptations according to the specificities of the room.